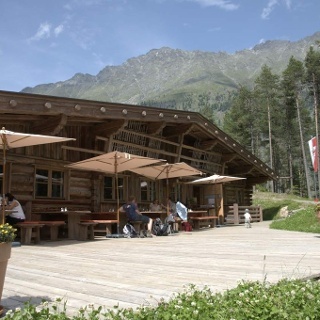 Amberger Hütte Alpine refuge hut is located at the rear end of Sulztal Valley, almost amidst the mighty Stubai Alps. The ascent on the asphalt road starts in Längenfeld (federal road to Gries) and takes you to the mountain village of Gries. 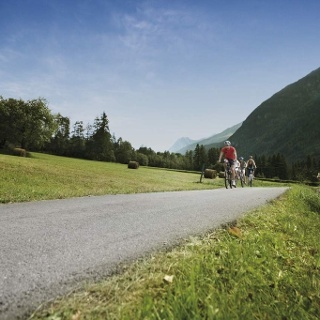 The winding road – 500 meters of altitude gain - leads up to the small Alpine plateau. At approximately 2 km from Gries you continue on the gravel path. 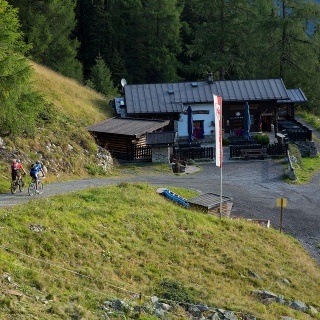 After crossing Vögelasbrücke bridge the trail turns off to Nisslalm mountain hut but you continue biking along the narrow valley leading towards Amberger Hütte. 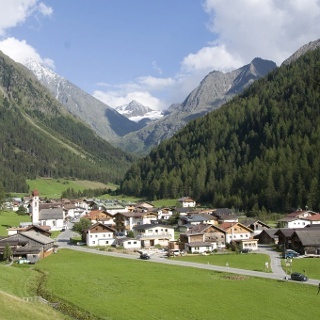 At about 1900 m above sea level you should try to resist stopping at lovely Sulztalalm. The rewarding path proceeds along the rushing waters of Fischbach brook! 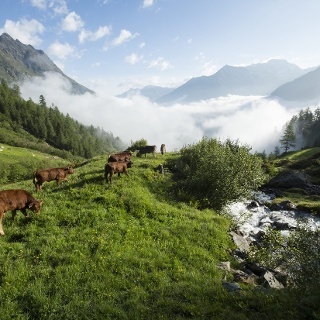 This secluded high Alpine valley and its barren landscape show you the way up to Amberger Hütte at 2136 m above sea level. 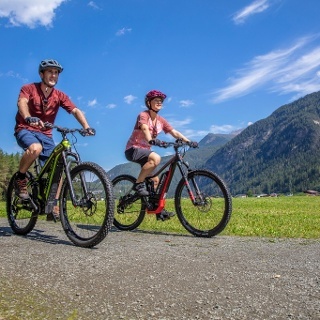 Uninterrupted panoramic views of high Alpine summits amidst the Stubai Alps are included - for example Hinterer Daunkopf, Windacher Daunkogl or Schrankogl. You return on the very challenging and speedy ascent route. At the height of Vögelasbrücke bridge you turn left into Nederweg trail where you return to Längenfeld along the left shore of Fischbach brook.